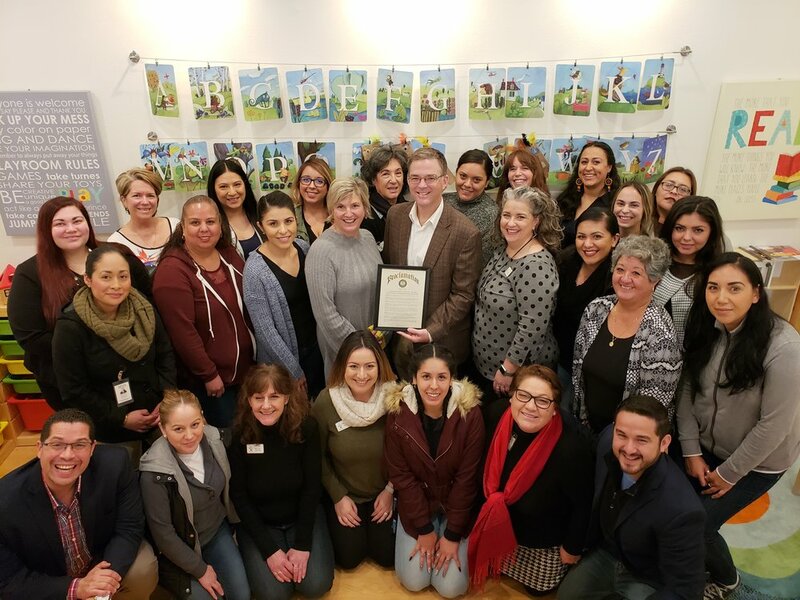 Cope Family Center, which manages the Napa County Triple P (NCTP) Collaborative, announced that January 2019 has been proclaimed Positive Parenting Awareness Month by the Napa County Board of Supervisors. The Triple P – Positive Parenting Program (Triple P) offers proven strategies that strengthen relationships with children and prevent and manage a full range of parenting challenges. The Napa County Board of Supervisors has proclaimed January as Positive Parenting Awareness Month. Supervisor Ryan Gregory visited Cope Family Center last week to present the Proclamation to the Napa County Triple P Collaborative members. We are grateful for the County’s continued support of our county-wide efforts to reduce child abuse and neglect in our county. The Proclamation marks the first annual Positive Parenting Awareness Month in Napa County and highlights the importance for parents and caregivers to develop warm, nurturing relationships with their children and teens and become more confident as parents. The Boards of Supervisors in Santa Cruz, Sonoma, Mendocino and other counties that offer parenting programs such as Triple P have also proclaimed January as Positive Parenting Awareness Month. Many other agencies in California that offer Triple P are joining the celebration by highlighting the importance of positive parenting during the month of January. Triple P has been available to families throughout Napa County since 2016. NCTP Collaborative agencies include: Cope Family Center (Lead Agency); Up Valley Family Centers; Child Start, Inc.; ParentsCAN; Napa County Public Health, Child Welfare Services, Self-Sufficiency, and Mental Health; Napa Valley Unified School District; Napa County Office of Education; Napa Emergency Women’s Services; and Queen of the Valley Medical Center. Major funding for the program is provided by the Napa County Health and Human Services Agency Tobacco Master Settlement Agreement Grant. Collectively, the NCTP Collaborative offers Triple P services to over 1,000 families in Napa County each year. The positive outcomes for parents who participate are significant: parents report improvements in their children’s behaviors, their parenting styles, and their levels of stress. To see current classes click here.